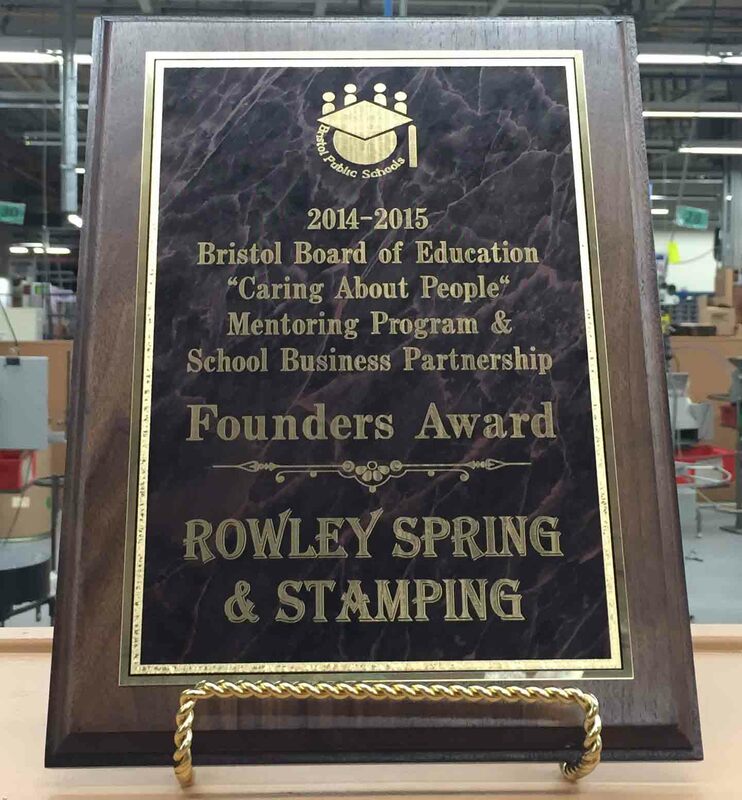 Adult Education | Rowley Spring and Stamping Corp.
On June 4th, 2015, Rowley Spring and Stamping Corp. accepted the Founders Award from the Bristol Board of Education. 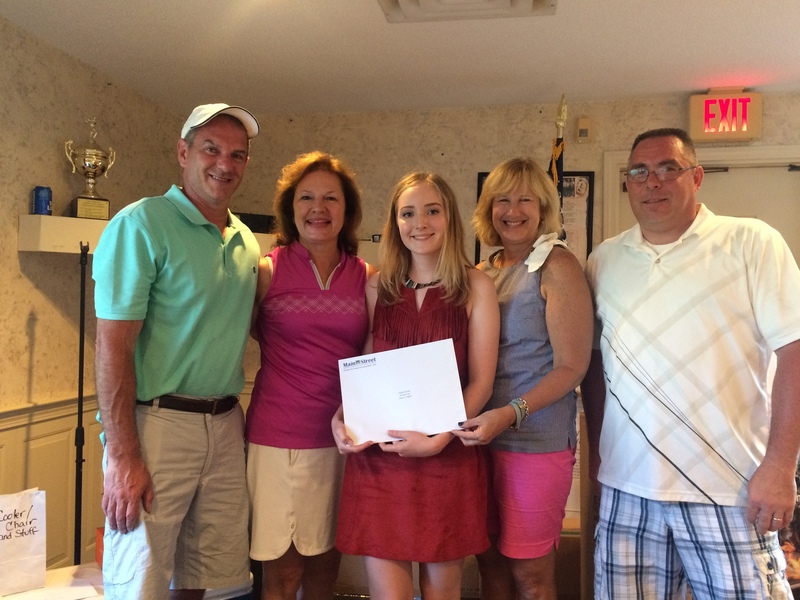 Rowley would like to thank the Bristol Board of Education. We will continue to grow and help enrich our community together! It has been very interesting to see the development of the workforce program and how successful it has been for all participants. Both Rowley Spring and The Adult Board of Education have invested a lot into the program, and seeing the second set of graduates walk across the stage has been nothing short of amazing! Each student received 65 hours of classroom training in addition to 60 hours of on-the-job training from Rowley employees on our manufacturing floor. We are proud to announce that six more students have graduated and have a leg up in manufacturing and tradesmen careers. We wish them the best of luck in their future! On Friday, December 19th, seven students graduated from the program that Rowley Spring and the Bristol Adult Board of Ed. have put together to help shape the upcoming workforce. The program aims to be the solution to today’s skill gap in the manufacturing industry. This pilot program has successfully led seven students through a curriculum that allows them to gain all the skills needed to find a job in manufacturing upon graduation. The students came from very diverse backgrounds, and they all had extraordinary stories to tell. From being a single mom with three children to having a full time job and paying for everything for his family, each student shared a desire to improve their current employment situation. Rowley Spring and the Bristol Board of Ed. hope to help every student that graduates from the program in this way. Rowley Spring has been very excited about this pilot program especially because it is free for the students. The generosity of donors has allowed these students to improve their current conditions and work toward a sustainable future for themselves. Each student had 54 hours with trainers in Rowley Spring’s manufacturing area in order to gain hands-on experience with our equipment and to learn how to perform tasks that are required in a manufacturing environment. As the program continues to develop and reach more people, we hope to see many more graduates and see members of the Bristol community taking advantage of such a great opportunity. On August 15, 2014, Rowley Spring held a press conference to launch the AEDAC (Adult Education Diploma and Certificate) program. The conference was held at 9am in Rowley’s learning center. 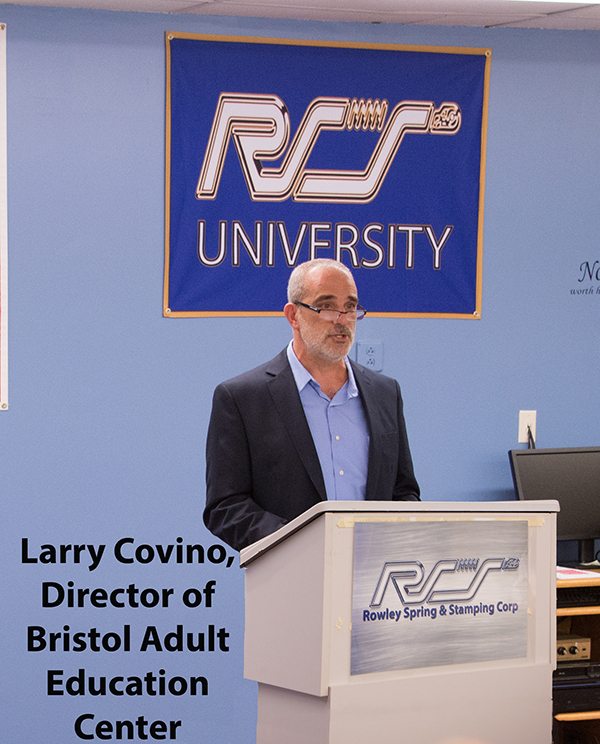 The conference was held to discuss the pilot program that Rowley Spring and Stamping (RSS) is working on in conjunction with AEDAC and the Bristol Adult Education Center (BAEC) to provide participants with the opportunity to obtain their GED and train for a career in manufacturing. 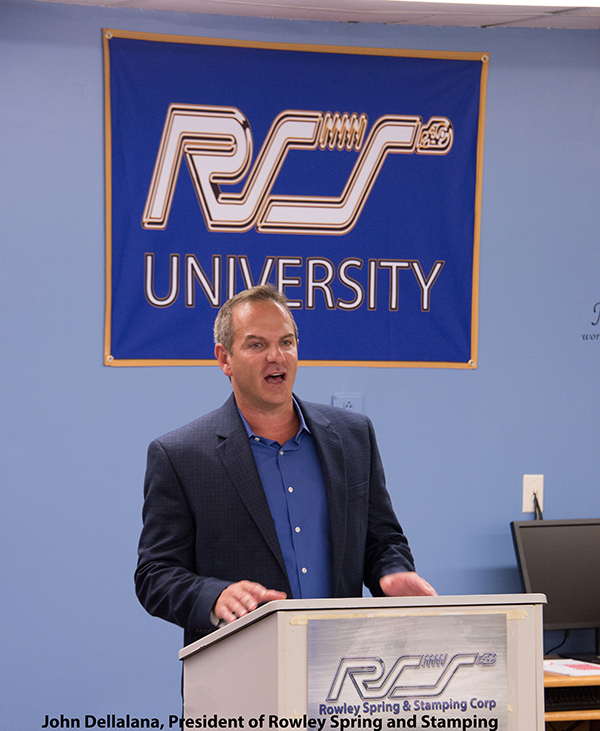 The collaboration between BAEC and RSS allows for a unique learning experience that involves hands-on training on Rowley’s manufacturing floor while students simultaneously gain knowledge in the classroom. With this unique setup, we hope to inspire people in the community that may not be able to afford to go back to college and are currently looking for new career opportunities. The program is made up of three main components: GED Prep, manufacturing competencies lecture, and hands-on training at Rowley Spring and Stamping. The program costs were estimated to be around $85,000, which have been funded entirely through the generosity of private donors. “We are thrilled to have support from many community and business partners to implement this important program,” said Lawrence Covino, Director of BAEC. Representatives from the Dollar General Foundation, the Central CT Chamber of Commerce, the Main Street Community Foundation, and the New England Spring and Metal Stamping Association were also present during the conference. The Bristol Board of Education, the Central CT Chambers of Commerce, the Main Street Community Foundation, and NESMA are the key partners that have collaborated to promote and support the AEDAC program as well as establish the Bristol Technical Advisory Board. Wal-Mart and the Farmington Bank Community Foundation are also supporters. “At Dollar General, we are passionate about our mission of ‘Serving Others’ throughout the communities we serve,” said Rick Dreiling, Dollar General chairman and CEO. The program is a risk for both the Adult Board of Ed and Rowley Spring, but if it is successful, than it was well worth the effort. It will help people looking for jobs who lack the skills needed for manufacturing as well as help manufacturing stay on American soil and continue to meet the demand of the market. “This is an outstanding program; it’s great for the manufacturing industry and the community as a whole. It will allow us to have the workforce we need to continue to grow businesses.” said Cockayne. For more information, visit http://www.bristol.k12.ct.us and click on Departments to reach Adult Education. For more information about the Dollar General Literacy Foundation, visit www2.dollargeneral.com/dgliteracy. For any adult interested in applying for the AEDAC program, please contact the BEAC at (860) 584-7865. Rowley has been hard at work in developing an unprecedented solution to the ongoing dilemma that many manufacturers are facing: an aging workforce with no skilled workers to replace them. About one third of Rowley’s labor force is upon the age of retirement, which means that we are beginning to lose skilled workers as well as their valuable knowledge and experience. 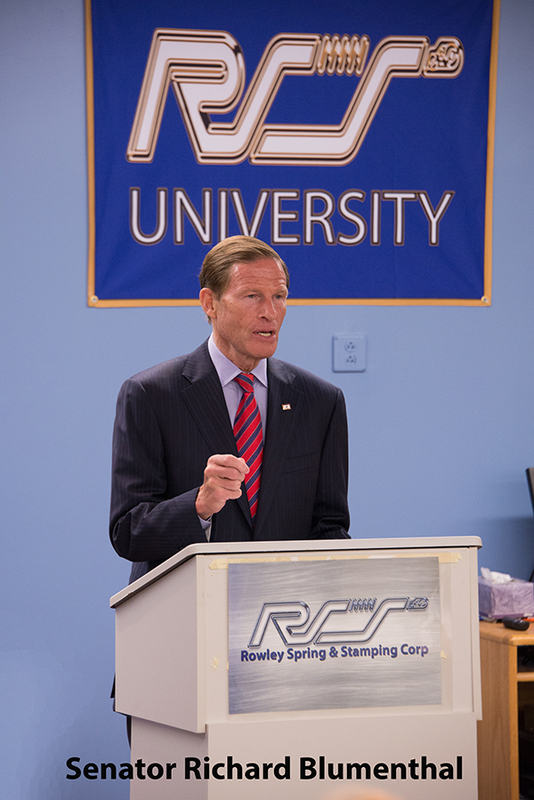 John Dellalana, President of Rowley Spring and Stamping Corp., has decided to take action now to mitigate potential damage to the company if employees begin to retire without having anyone to replace them. As seen throughout Connecticut, putting up “Help Wanted” signs alone is not enough to get the skilled employees you need. Rowley Spring has decided to approach this problem in a new way by investing in the community and people who have a desire to work, but lack the skills needed to get a job. 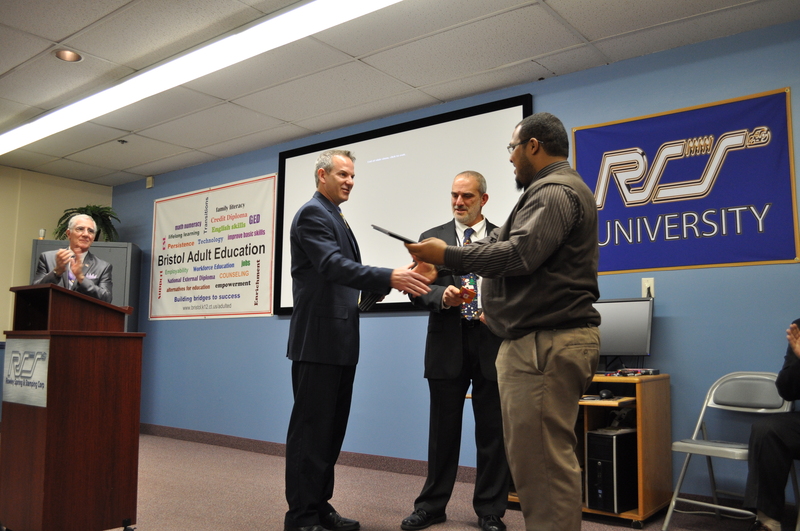 We have teamed up with the Bristol Adult Board of Education, who happen to be located in the same building as Rowley, in order to develop a curriculum that will allow residents to earn their GED as well as manufacturing experience. People who sign up for this new style of learning will gain the experience they need to enter into a career in manufacturing here in Connecticut. Anyone who has looked for a job in the past couple of years knows what a daunting task it can be. From entry-level positions asking for 5-10 years of experience to companies trying to pay you half the salary you were making 10 years ago, it is frustrating to say the least. Rowley has taken an honest approach to changing the work force, one person at a time. It is an investment not only in the surrounding community, but in the American workforce as a whole. 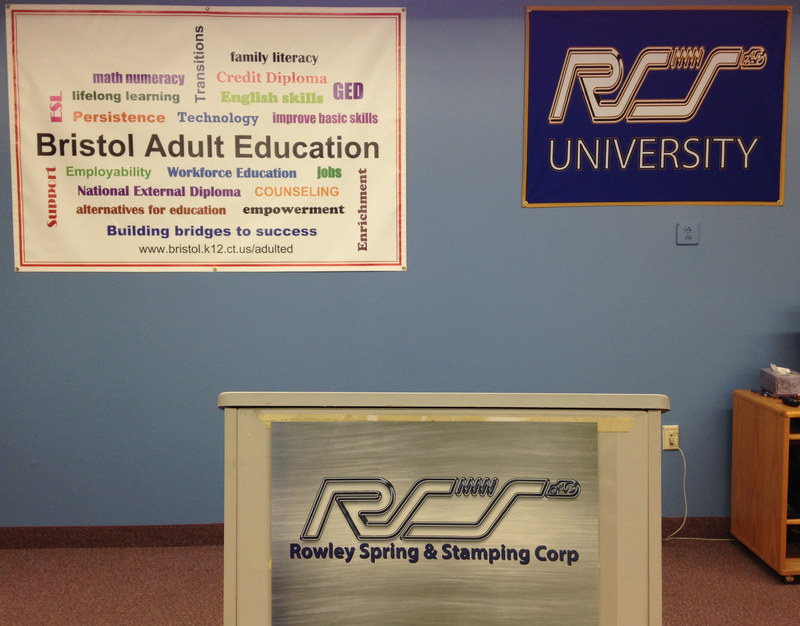 For more information about Bristol’s Adult education program, visit http://www.bristol.k12.ct.us/.